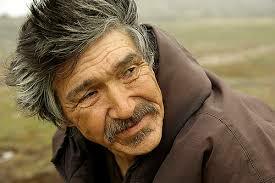 Harry Okpik was born in the community of Quaqtaq in 1954. He has a strong background in translations, working for the Makivik Corporation during the implementation of the JBNQA. He has also worked as the boat captain of the community starting in 1994. Harry owns a dog team and has participated in numerous regional Ivakkak dog sled races over the years, and is recognized as one of the most dedicated dog team owners in Nunavik. A documentary film has been made in his name called Okpik’s Dream, that documents his numerous Ivakkak races and his passion for his dog team. Harry presently is the Kativik Regional Government Umajuit Warden for the community in Quaqtaq, ensuring all sport hunters and fishermen follow the applicable wildlife regulations in the region.